Unzan Graham Ross is still in residency and details of the weekly schedule and specific events are listed below. Further details on the content of the events are listed at the bottom. 10:30 am – 4:00 pm The Posture of Nobility: Body, Speech and Mind. Workshop: Saturday May 28th 10:30 – 4:00 pm. Offering us clear ways to navigate difficult situations, this workshop, at its heart, will examine how to be a good a person. We will be given tools enabling us to enjoy our lives in confidence, that the decisions we make are motivated and connected to, our deepest intentions. The Posture of Nobility, is a posture, of body speech and mind; that once integrated will give us a delightful embodiment of freedom, and ease. 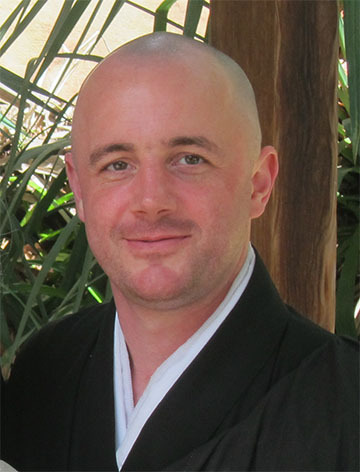 Please join Rev Cloud Mountain Graham Ross at the Black Mountain Zen Centre this Saturday. Suggested donation £20. Workshop: Sunday May 29th & Sunday June1:30 – 4:00 pm. This afternoon workshop is intended to develop and deepen our facility with the meditative experience. With hands on instruction, guided meditation and the exploration of posture, breath and mind this workshop is intended for both beginner and experienced meditators alike. There will be interactive exercises, discussion and time for questions and answers. It is intended to be practical and as a nourishment for developing awareness in your daily life. Suggested donation £10. Workshop: Saturday June 11th 10:30 – 4:00 pm. Mountains and Rivers Sutra: Sangha Hike in the Mournes. The Mountains and Rivers Sutra (Sansuikyo) is an essay written by Zen Master Eihei Dogen in the 13th century. A profound and revelatory expression of living fully, this sutra, will lead us on our hike. There will guided meditation, practical teachings, silence, talking, a picnic, and fun. This retreat is suitable for everyone; families included. Suggested donation £20. One Day Retreat: Saturday June 4th 10:30 – 4:00 pm. This retreat is offered as a way to go deeper into your practice. Designed for beginner and experienced meditators alike, we will follow a relaxed but steady schedule of seated, walking and guided meditations. Sitting together, in stillness and silence, allows us to discover or rediscover, to clarify and actualize our ultimate concern. Suggested donation £20.